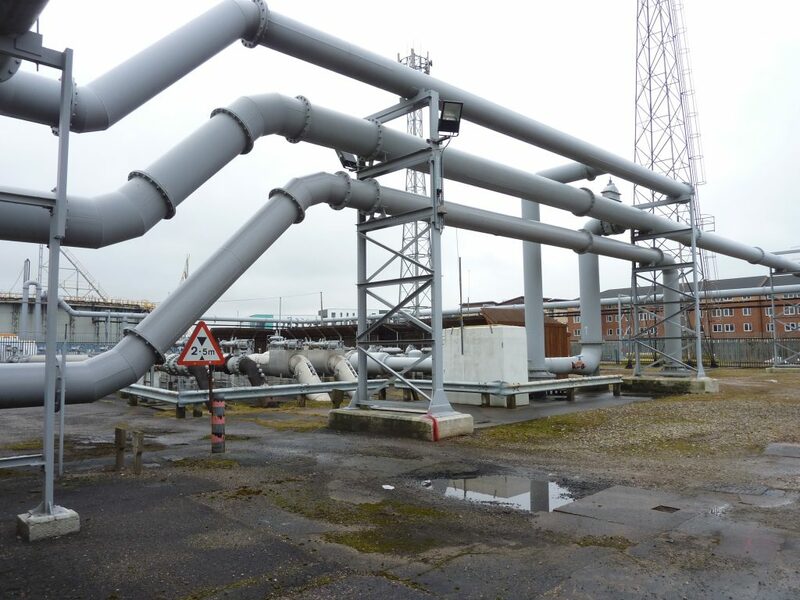 Brown and Mason have a longstanding relationship with National Grid Holdings, dating back to the time when these assets were in public hands under British Gas. 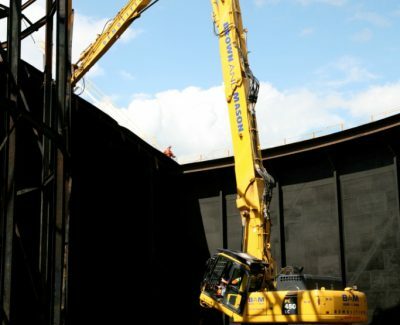 We have demolished over 80 gasholders in the last 50 years. 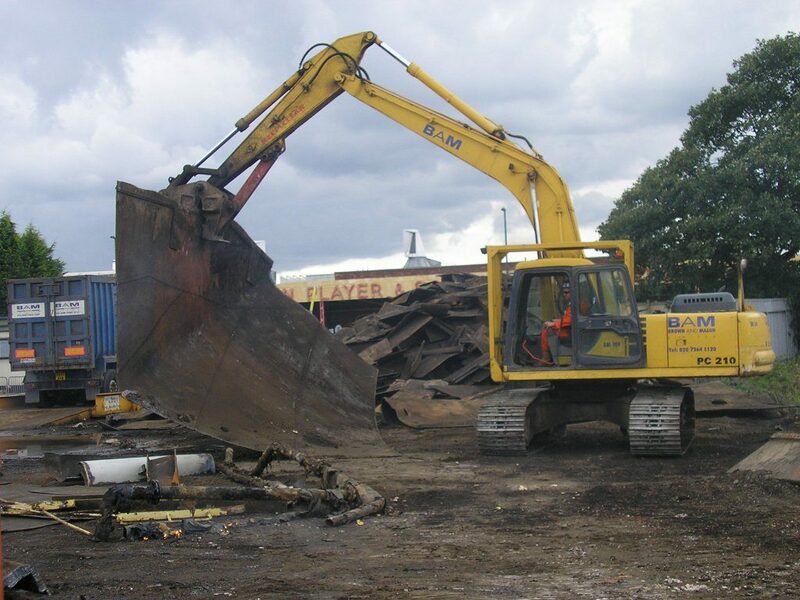 Complete dismantling and removal of approx. 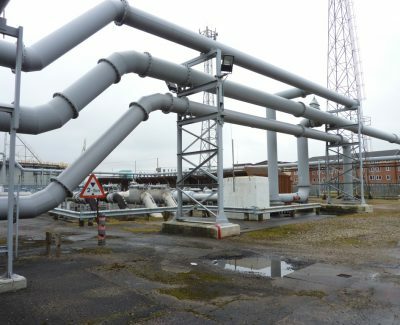 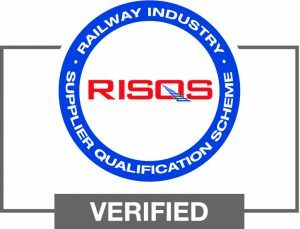 800m of mixed diameter above-ground gas mains and other pipework and plant at various elevations. 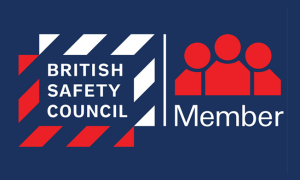 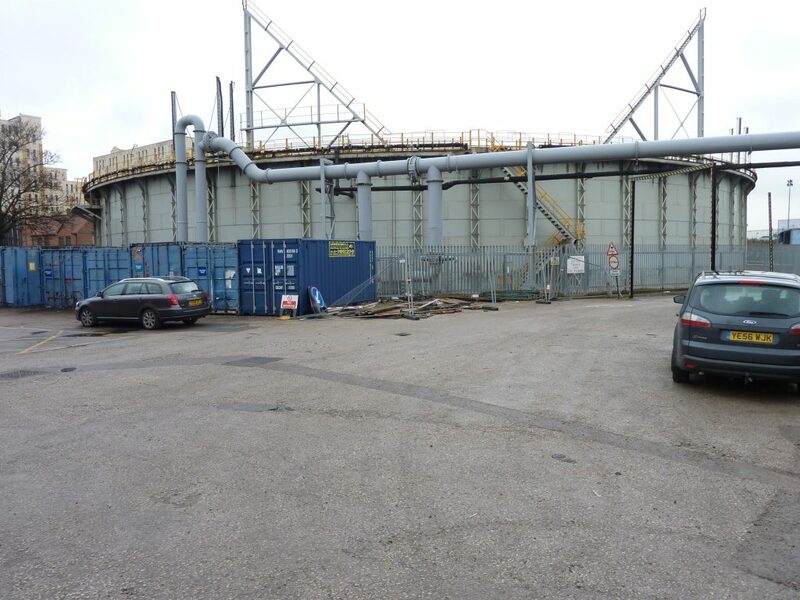 Dismantling and removal of various unclassified minor structures: pump housings, vessels, access structures, instrument and switchgear cabins, site lighting columns, fence and gate systems and similar items throughout the site areas so as to leave an overall clear site. 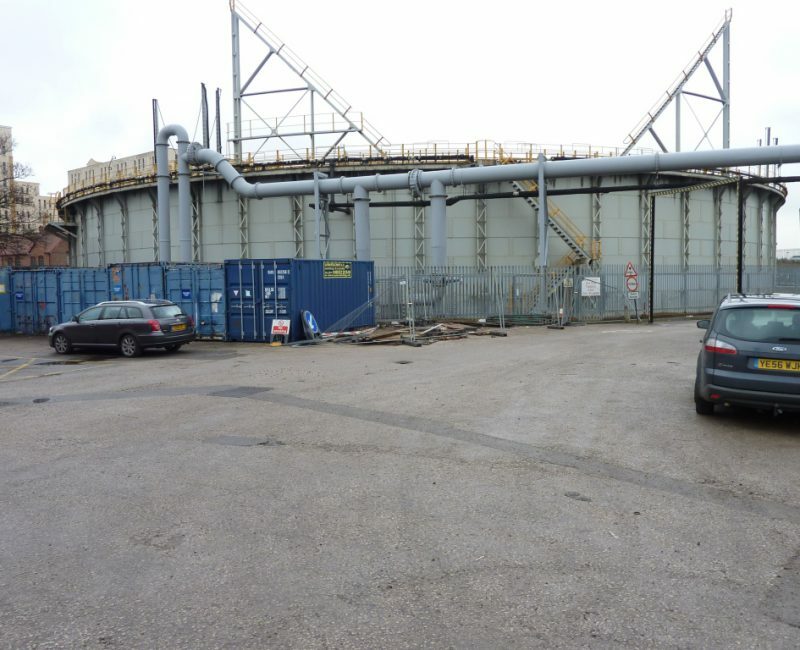 The gasholders alone contained over 3,000 tonnes of steel, which Brown and Mason was able to reclaim and sell on our Client’s behalf, through our relationship with key players on the European scrap metal market. 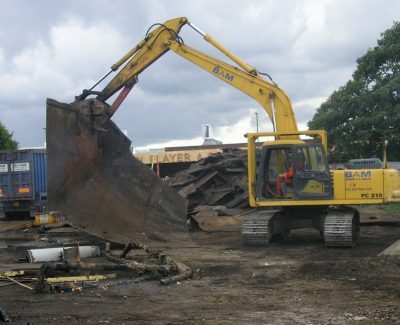 Method statements were developed for different elements of the job (around 10 in total). 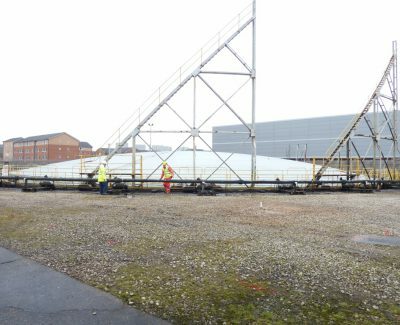 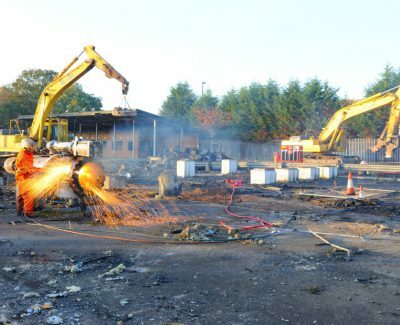 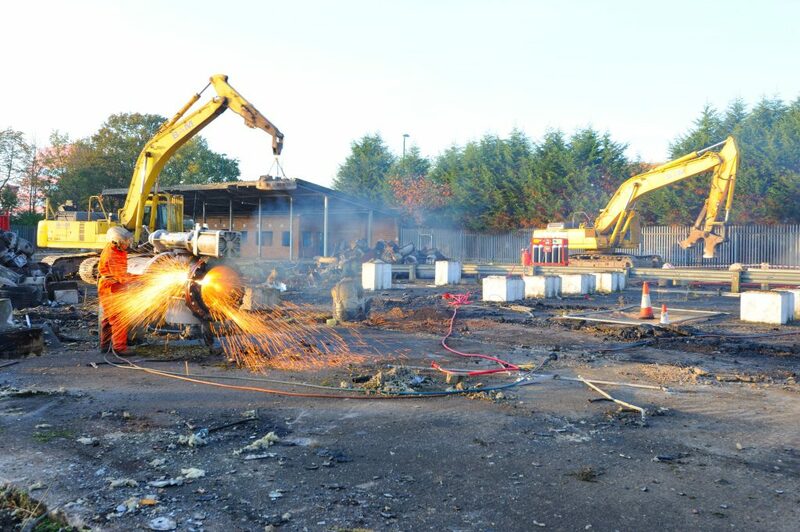 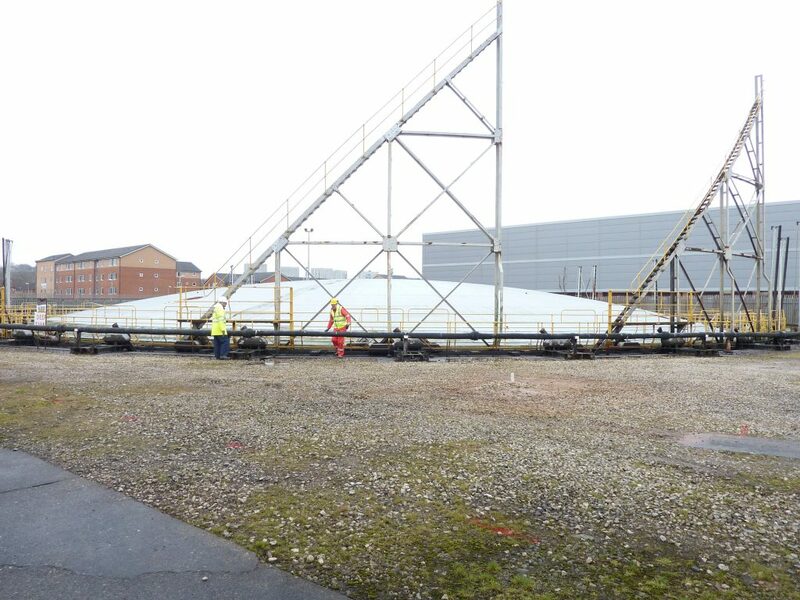 These included a separate method statement for removal of the roof structures from the two tanks, and for demolition of a radio mast on site. 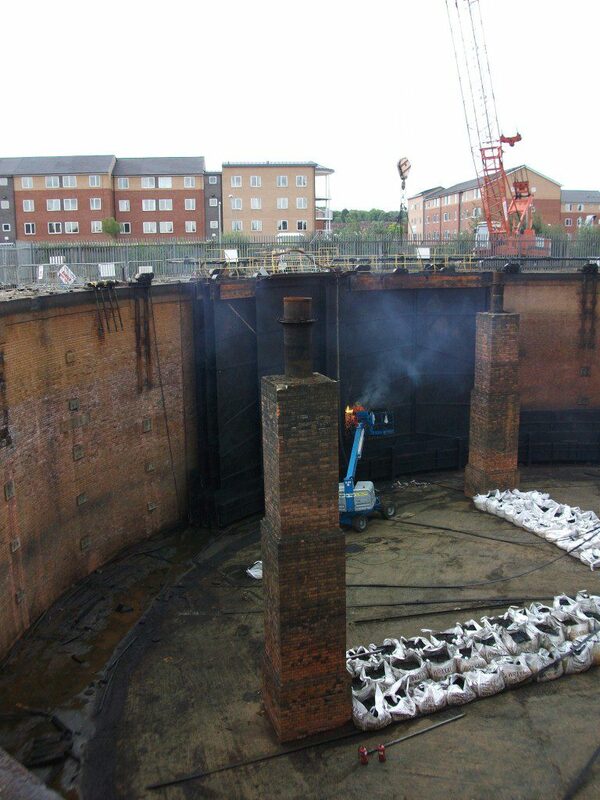 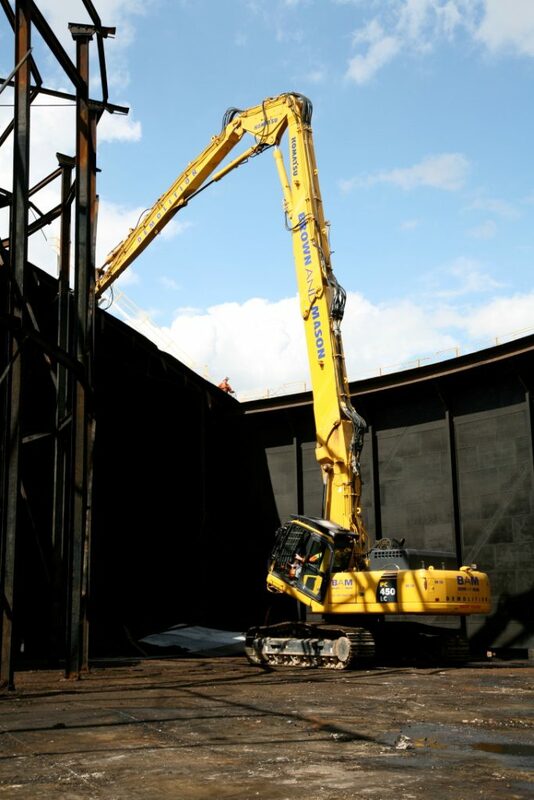 Dewatering / desludging works were required, including removal, treatment and disposal to Foul Drain of water in both gasholder tanks. 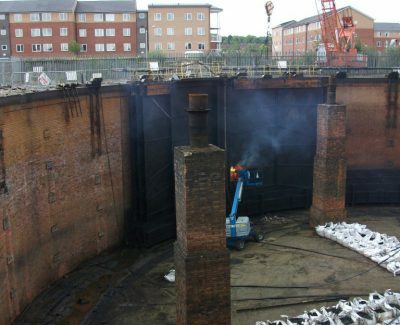 This included gaining discharge consent from Severn Trent water.